Abandoned by his crew KV-1 heavy tank from the Soviet 101st Armored Division. 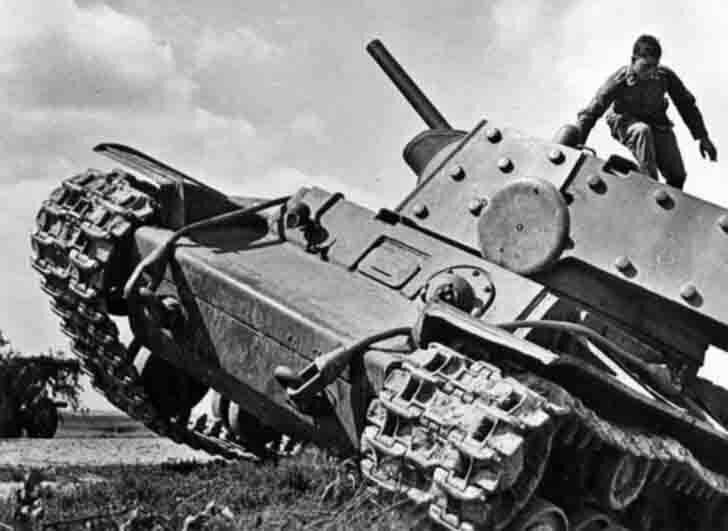 KV-1 heavy tank would be lost in the fighting in July 1941 on the road in Yartsevo (Smolensk region). This KV-1 heavy tank release in June 1941. The turret and hull sides have additional armor. Heavy-duty rollers – without holes.